One of my favourite classes in school was my cryptography class. When I registered for the class I was expecting a highly technical class teaching me to decode and break ciphers. The first day, I realized it wasn’t much about cracking and decrypting passwords but more about the history of it. My post mainly takes its references from “The Code Book” By Simon Singh. This was our textbook for the class. I wanted to share my most memorable moments of history from this book. Note that use of any of these algorithms are outdated and are fun to use as exercises to learn about cryptography but not for real world use. If you’re worried this will be technical I assure you that it is not. I lent this book to a friend who is a business major and he loved this book as much as I did. 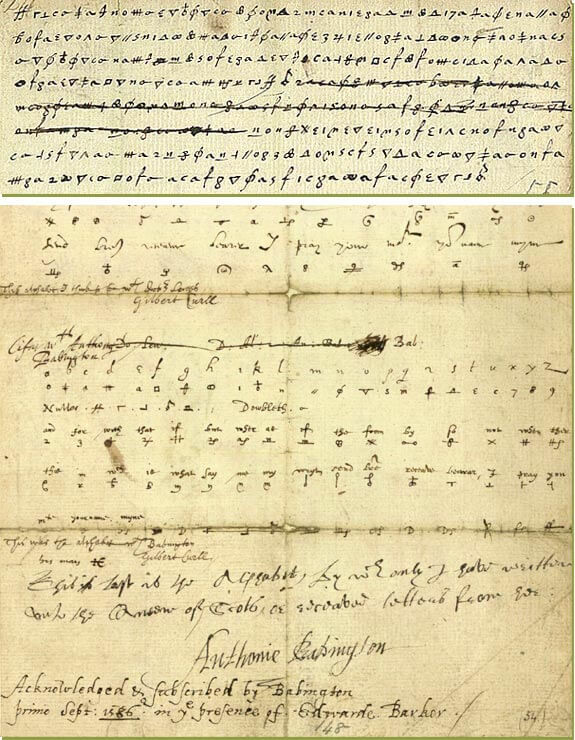 One of the earliest recorded uses of cryptography was used in an attempt to assassinate Queen Elizabeth in 1586. Mary, Queen of Scots, the cousin of Queen Elizabeth plotted to assassinate the Queen so she could take the throne for herself. However, Mary was imprisoned at the time and could not freely send plain text letters to her rescuers. This was known as the Babington Plot. There are a lot of details so I won’t spoil the whole thing in this post but I do encourage you to read all about it in the link. Who doesn’t like an old fashion royal family conflict full of devious plots and spies? Sometimes I wish this was a TV show. Even though I know how it ends. As we can see, hiding messages is what cryptography does best. It should be no surprise that wars made use of cryptography to hide military communication from enemies. There were two examples that stood out where cryptography played a major part in determining victories. The first didn’t require a machine to break a code specifically. The Navajo code talkers was used by the United States Marine Corps during World War II. The Navajo code is a Native American language and was chosen because very few people could speak the language fluently. The language was used to develop a code book. It did require two people who knew the code to communicate verbally over radio transmission. These messages would be intercepted by the enemy but without knowing the language and code it could not be broken. The second was recently made into a movie, “The Imitation Game.” If you’ve seen it, it tells the story of Alan Turing’s life and his important contribution to World War II in how he broke the German encryption machine Enigma. The “Code Book” goes into further detail in how he actually broke the code. This particularly stood out to me because of the one big problem with cryptography to this day is user error. 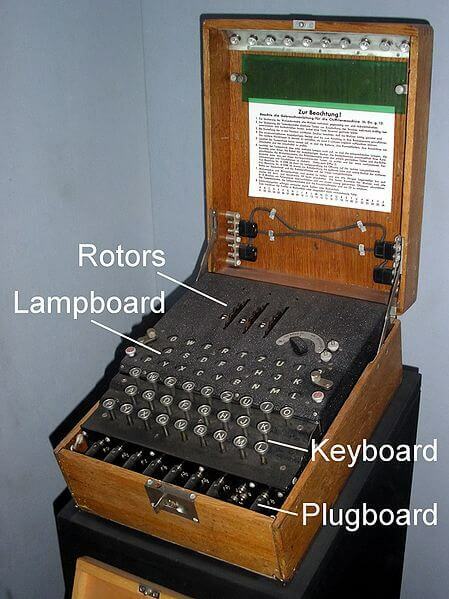 Enigma was a strong encryption device for its time, but it did require a random code to be used to maintain that strength. The German operator who decided to used the same code for all his messages helped Alan Turing break Enigma and I learned one of the most important lessons about security: People are not random, never trust them with important things. When the internet was increasing in public access, strong encryption in its early days was only available to the military. Users would either have to rely on plain text data or encryption controlled by government agencies. The “Code Book” introduces us to PGP (Pretty Good Privacy). It’s the first encryption developed by an individual and made publicly available to anyone on the internet. The significance of PGP was that it challenged the government agencies and was available to anyone and could not be decrypted. This made it a threat to national security. However, this ongoing battle still exists today. How much control should the government agencies have over our private data and should governments have access to this data? The book concludes with an introduction to quantum mechanics. You might be asking what quantum mechanics has to do with cryptography? A lot and in a very significant way. The future of computing is the quantum computer. So back to what this has to do with cryptography? The quantum computer will be able to work at speeds that will crack any modern encryption method. But don’t freak out, this has led to the development of quantum crpytography. The key word here is “development”; there are no guarantees that it works, but at least we’re thinking about it. I couldn’t leave this post without a cipher. The header image is a real encrypted message. To make it easy I provided it below. It is encrypted using a Caesar Cipher shifted 7 spots. Caesar Cipher Tool. Aopz wvza jvtipulz tf svcl mvy opzavyf huk jyfwavnyhwof. P ovwl fvb luqvf(lk) tf iyplm puayvkbjapvu av pa. Aohurz mvy ylhkpun!